have placed here and there throughout my home. 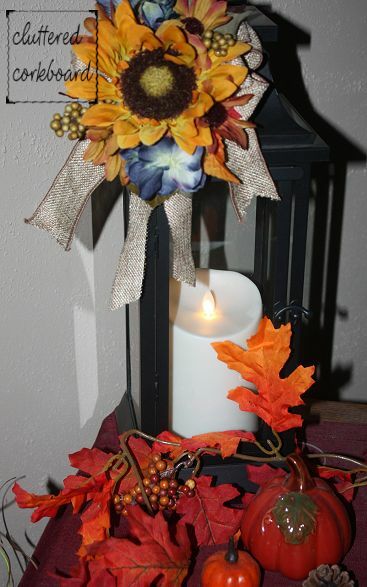 Note: I am kind of fond of fall florals with burlap.. 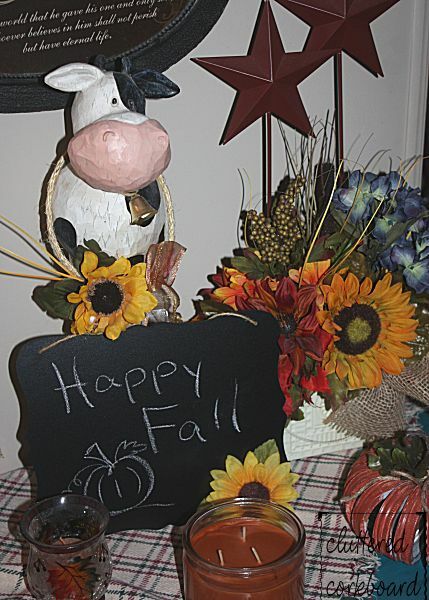 This is a simple chalkboard I picked up in the craft department and added " Happy Fall "
pumpkin candles, and one of my moo cow statue's. 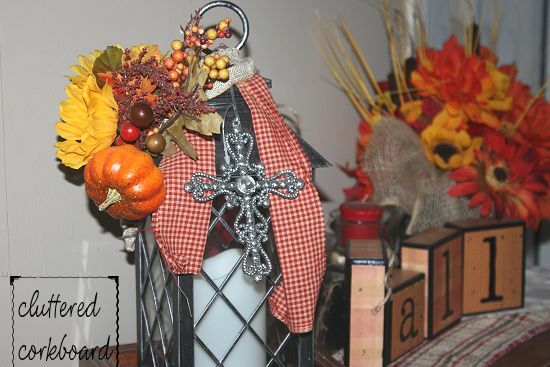 This grouping is in my kitchen and yep, more fall florals and.. burlap ribbon. 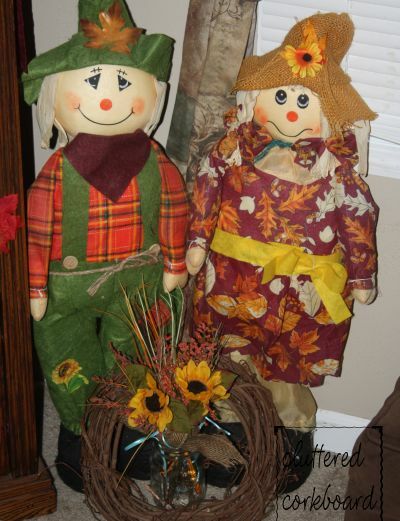 My Lil Scarecrow kids.. just because they are adorable. Have you noticed by now that I am also kind of fond of lanterns? 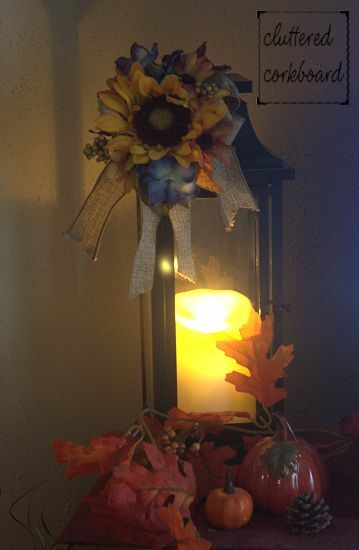 in my opinion compared to a lot of the battery powered candles I have tried. But mostly it is just simply pretty! especially at night. and of course.. 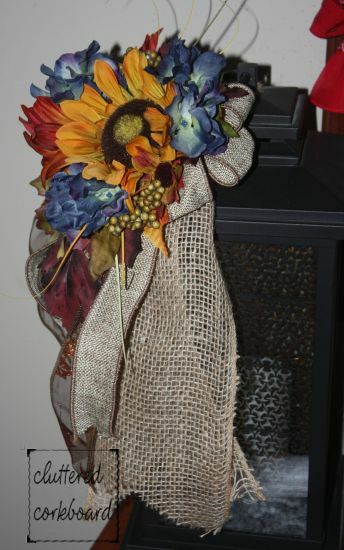 I made it large with you guessed it..
more fall florals and burlap ribbons. So do you have a thing for lanterns too? 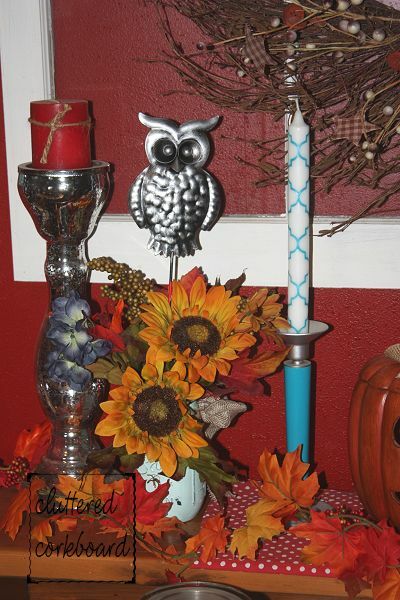 I like how they work all year long, and in pretty much any decor.